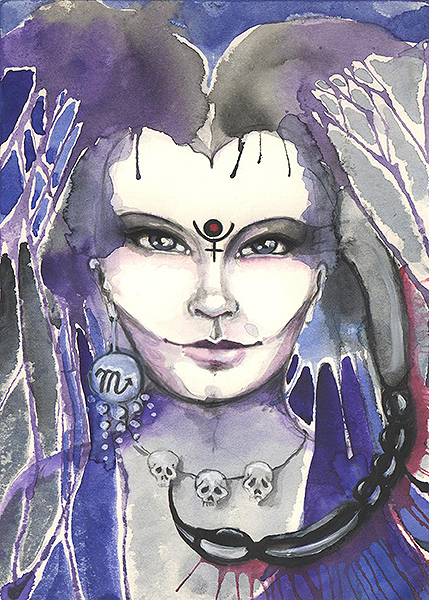 Moon in Scorpio creates the need to delve into your feelings as deep as possible and this brings great vulnerability. You never forget anything that was done to you. It's hard to force you to do anything. Rarely, it is possible to influence you with kindness. You need a deep emotional relationship, even if it is not easy and you are forced to change many things. Shallow relationships do not satisfy you, because they are not purifying enough. You have an unmistakable ability to detect the emotional state of others, even if they try to hide it. This gives you the ability to very effectively hurt or heal others. Your emotions can be extreme, from sympathy to contempt, from passion to coldness. It is necessary to get rid of the fear of betrayal, abandonment, and that you lose what you love. If you do not get rid of your fear, you will lose exactly the things you are afraid of loosing.